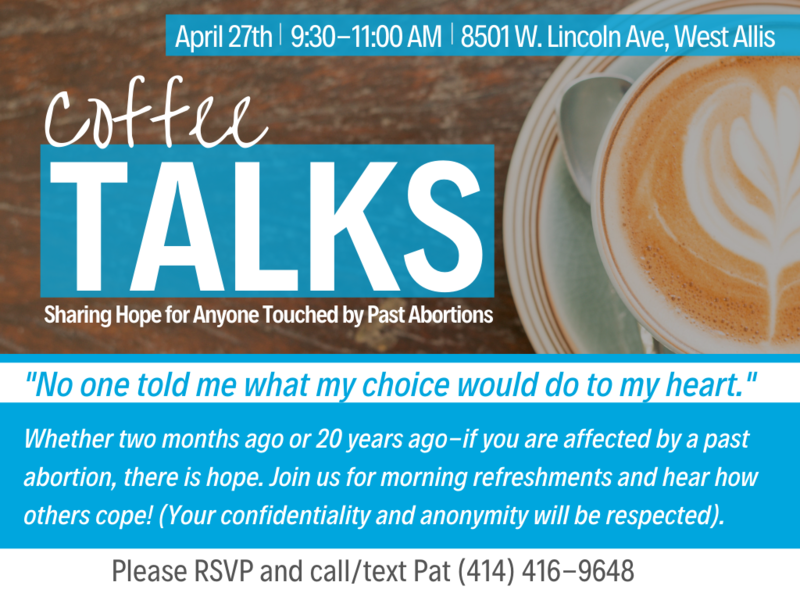 Whether two months ago or 20 years ago-if you are affected by a past abortion, there is hope! 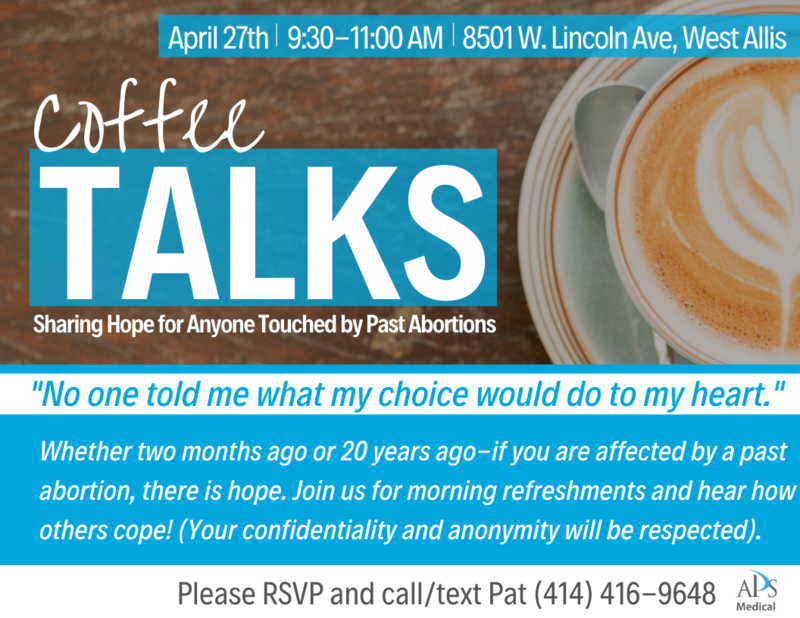 Join us for Coffee Talks, an event focused on those touched by abortion. Throughout the morning, you will be able to hear how others cope. Your confidentiality and anonymity will be respected and there is no expectation to share your experience. If you have been impacted, we hope to see you at Coffee Talks to share support and encouragement.